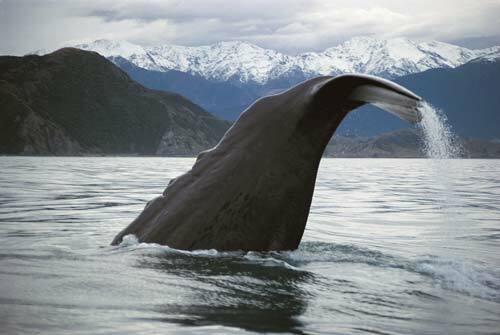 The tail of a sperm whale flukes (lifts before diving) off Kaikōura. The deep water along the Kaikōura coast brings whales closer to shore than in any other accessible part of the New Zealand coast. Whale-watching trips take visitors into the waters where whales are most likely to surface.